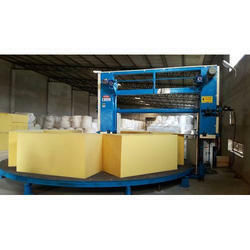 Our reputed entity is engaged in supplying Foam Cutting Machine. Understanding the demands and requirements of our clients, we are indulged in offering an extensive range of Foam Cutting machine. The whole range of offered machines is strictly checked on predefined parameters to ensure its faultlessness. Our company is one of the well known supplier of Foam Cutter. Pioneer in the industry, we are engaged in manufacturing an impeccable range of Rebonding Foam Cutting Machine. 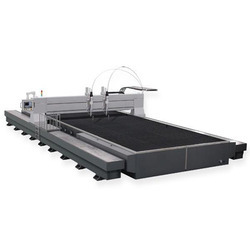 In order to cater the variegated demands of our esteemed clients, we are manufacturing a wide range of Foam Cutting Machine. Banking on the skills of our qualified team of professionals, we are instrumental in offering supreme quality range of Brazed Carbide Cutter (Brazed Carbide Foam Cutter). Expanded Polymer System Pvt. Ltd.